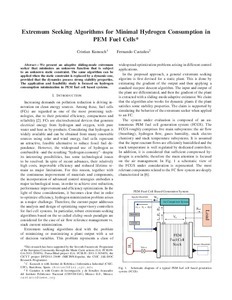 Kunusch, C.; Castaños, F. Extremum seeking algorithms for minimal hydrogen consumption in PEM fuel cells. A: American Control Conference. "Proceedings of the 2013 American Control Conference". Washington: 2013, p. 1144-1149.